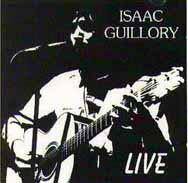 The final CD Isaac produced and released in 2000. 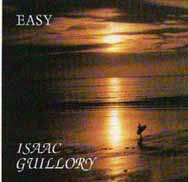 This album contains all new recordings, mastered by Isaac personally at every step of the way. 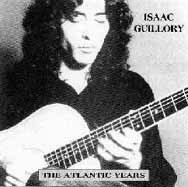 A re-release of the first solo album recorded for Atlantic Records in 1973. " The Atlantic Years" is a compilation of nine of the ten tracks from the first album, and four tracks from an un-released second album. This is a one take album, originally recorded for broadcast by Newcastles Metro Radio in 1979. It is the first album featuring only voice and guitar, and a document of the original era of unplugged music. 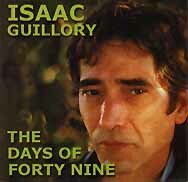 All instrumental, studio production released in 1988, featuring nine original compositions, and one standard arrangement. It is produced with the belief that healing music has always been in the domain of old-fashioned guitar playing. Released in 1992, This is the most varied collection, including modern and traditional songs with feels running from early jazz to latin.